This is just awesome beyond words! 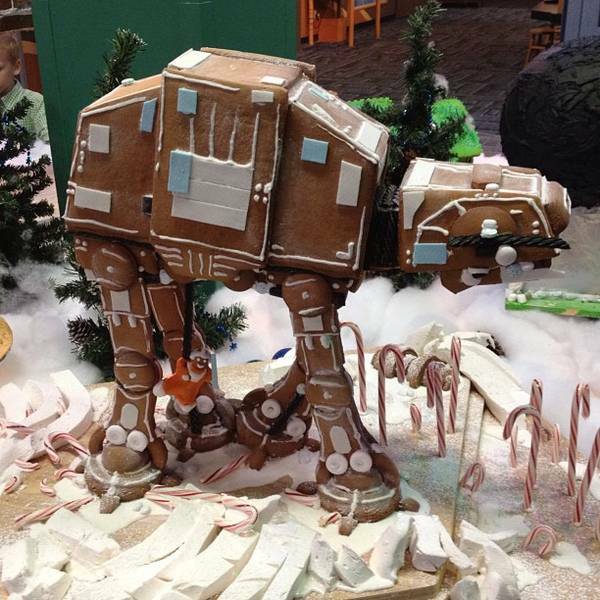 This gingerbread AT-AT Walker is on display at Orange County's Discovery Science Museum. It's the creation of Black Market Bakery.